1 tin or 150 gm. of smoked salmon in oil pr chilled pack of smoked salmon. Mix all the contents of the tin and cream cheese in a food processor or with a fork. Place in a serving bowl and chill for a couple of hours. Serve with hot Pitta bread slices or any bread of your choice. Wet a serving bowl thoroughly and immediately line it with cling film, leaving enough cling film hanging over, to fold over and cover the dish once filled. Line with a thin layer of smoked salmon pieces on top of dill. 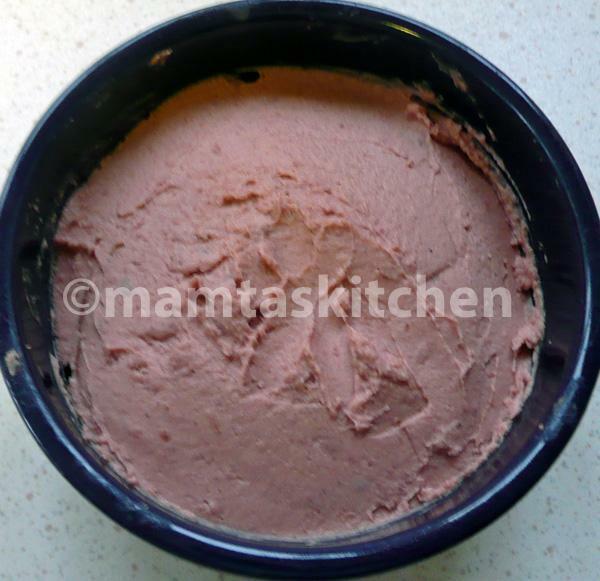 Fill the bowl with the mousse, fold cling film over and refrigerate or freeze. Just before serving, take out of the fridge or defrost fully, if frozen. Open cling film, turn the bowl up-side-down, on to a serving plate and gently tap. Lift bowl up, easing mousse out. The salmon and dill will now be on top. You can do this in individual ramekins as well.